“It was sticking out of it and it’s real small. It looks like a little piece of metal that is bendable,” said Tamela Presser. Some people from northern Kentucky have noticed something strange if they have been feeding their dogs Pedigree brand dog food. Some wire-like fibers have been located within the food, and some folks are even blaming the food for illnesses that many dogs did not start out having. The issue was first brought into the spotlight by Tamela Presser. Presser said that after her dog which did not have upset stomach issues before eating the tainted food, has become ill, often throwing up what has been eaten. This is what prompted Presser to take a closer at what she was giving her dog. 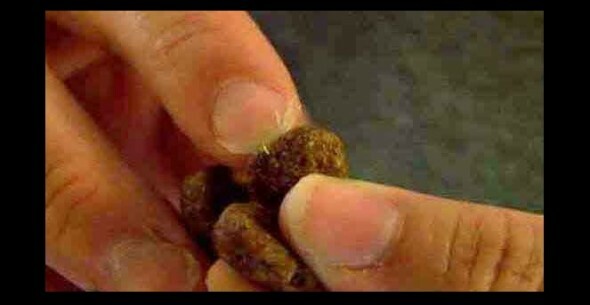 As stated, many people that have given that food to their dogs are claiming that it is making their dogs ill. However company officials are assuring consumers that the food is regularly quality checked and tested, so they refuse to believe the issue is with the food. Juan Huerta what we buy for the boys. Maybe that’s why the girls won’t eat it. This IS OLD NEWS!!! Check your facts!!!! If a lot of companies is poisoning you … what makes you believe that they won’t dare to poison your pet ? I found half a blue rubber band in my dog food! I called and reported! Michelle Swofford Murrill, didn’t you just find metal in treats?? Don’t feed pedigree! Really bad..I do blue…nothing from China..and very little kibble, I cook for them brown rice and chicken in a pot for them….food is just not safe anymore..how sad! !even ours is from China tilapia fish comes from overcrowded fish farms there..
seriously people, dont feed that crap to your pets is terrible for them!!!! buy higher quality food that isn’t filled with meat by-products! Pedigree states these are naturally occurring fibers from meat and bone meal, like pig hair, and are safe to consume. With that said, Pedigree does not rate very high on dogfoodadvisor.com. 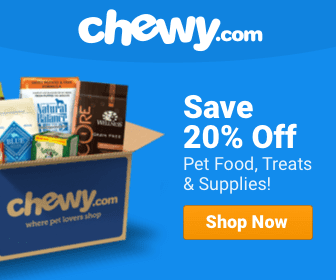 Everyone should check out that website to see how your dog’s food ranks. No this is a new problem. Yes Kay Balch Savarese this is the issue we had! It was in our pedigree treats though not food. I also know people that have been smoking for a long time and they are alright too. History is full of cases where humans have been exposed to harmful things and are just fine. No Pedigree here…..there’s a reason so many pet owners pay a little more to feed their guys ….pig bristles!?! Good grief…..ground up dogs….!!!! And how about the chicken beaks, bones, feathers and all..Most of the grocery store brands are garbage….read the ingredients, the internet is a great place to get educated about what’s in your pets food. Pedigree is garbage. Very few are worth buying. Debby Kindernay – just a heads up. I’ve bought blue buffalo and naturals and all the expensive dog foods two of my girls throwed it back up and my youngest sniffed it and walked away..yea I’ll stick with pedigree dog food…they love it..these are three very healthy boxers.sadiee Katie n koba our four month old baby.. I remember when most of the high dollar brands were pulled from shelves killing dogs!Yet Puruna & pedigree were not!Yrs ago.Eukanuba,Science diet,Nutro.Many others. Kacey don’t you have pedigree? Lost our 2-year old black Labrador in 2013 because of the food he used to ate from another brand. Everybody in the family was devastated. We have another black Labrador. He’s now 17 months old. I just feed him Acana dog food ever since we got him from the breeder. I didn’t even give him the food the breeder provides. No snacks in between, just fruits.It’s a little bit expensive but it’s worth it. You don’t feed a member of your family cheap food right? He’s very healthy and active. I wish I had known this dog food before. I’m not going to trust any dog food other than Acana except when there will serious recalls. Toni Wallace don’t you feed Mav Pedigree? Jes Rosas which brand did you buy sid? Buy decent dog food. Do your research! No, it is NOT “all the same”. 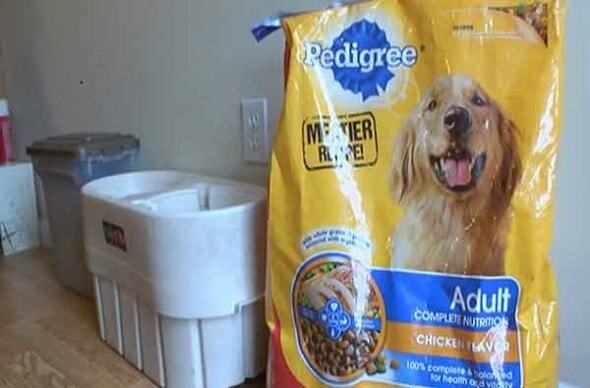 I have always considered Pedigree a low end dog food. Sorry, just do. Even if you are on a budget, there are better foods. And just because it’s convenient in the grocery store is not a good reason to buy it. I have feed Nutro Natural products for years to my furkids. Never a question of quality, never a recall. I’m not promoting Nutro, that’s just my choice. But, find a better food. Not true!There WAS A CALL ON Nutro yrs ago!Was contaminated. Oh, no! I’ll let Joan knowi mmediately. Thank you, Linda! I do not feed commercial food to my dogs. They always ate fresh food prepared for them by my wife daily from fresh high quality meet and poultry and organic vegetables. Just read how many chemicals are in any commercial dog food. It is scary, and many ingredients are made in China which is not reflected on the label. Stop killing your pets and making pet food industry wealthy. Oh my gosh, the amount of naive people feeding pedigree on this thread is astounding! Your pup deserves the best and it surely isn’t pedigree! I’ve fed my 13 year old pure bred German Shepherd Purina One forever, which is not a cheap food, its twice as much as beneful, I wish I could afford the best for her, but she seems to be doing fine! Best in advertising and worst in long term health, the tumor food. This foodscare came to NZ. awhile back. I shall no longer buy it, until an honest explaination is published. Those are not wires, defo pig hairs. I’ve seen those in other rubbish dog foods. Don’t think they are poisonous, just really irritating to the throat, They can get stuck there and tough to remove as they r so tiny. And pedigree do have a bad rap sheet, One i saw on the news was about the high salt content that is hurting dogs health many yrs ago Thats why I don’t feed my dog pedigree ever, I still don’t trust them. I also found a link, it’s old but that shows how long its been going on. My dogs eat just enough dry food to keep their teeth perfect. Their diet is 90% protein and raw veggies. Stop feeding your dogs crap food. Taste of the Wild grain-free dry dog food with a tbs of Natural Balance Limited Ingredient canned food, 1/2 cup of water, a tsp of probiotics, mix and watch ’em chow it down. Good nutrition, no more digestive issues and they love it! This is why I make my pets food, not to mention the ridiculously high levels of salts and sugar in store bought pet food, and the colourings and flavourings in them, it’s like feeding your pet McDonald’s every day! I used to feed my dog Pedigree until I learned of its ingredients, one which includes onion or onion powder. YOU DO NOT GIVE DOGS ONIONS, NEITHER ANYTHING THAT CONTAINS ONIONS, NOR GARLIC. Research it if you don’t believe me. So I never feed my dogs Pedigree, nor shall I ever feed it to them again. Stopped feeding my dogs that crappy food years ago! Read the ingredients people it’s garbage! I won’t feed my dogs pedigree. Found moldy clumps in a bag years ago. Reported it, they showed no concern. Solid Gold dry and wet. I don’t care how much it costs. Anyone feed their dogs Rachel Ray just 6? Taste of the wild only for my guys. If I could afford it I’d feed them fromm or orijen. Avoid low cost crap food and read the ingredients… especially avoid vitamin k, it’s a killer for both cats and dogs. And for those of you that are swearing by pedigree it was recalled a year ago for this exact problem.